The Supreme Court is seen in Washington, D.C. 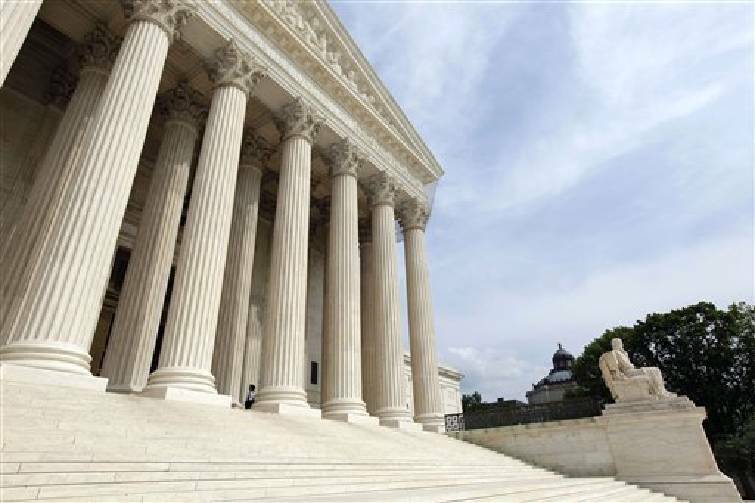 In two weeks, the U.S. Supreme Court is scheduled to hear arguments on whether the ObamaCare socialized medicine law is constitutional. A ruling is expected later in the year. A majority of the states have sued to have ObamaCare declared unconstitutional, which it plainly is. Nothing in the Constitution can be construed as giving Washington power to force the American people to buy government-approved insurance or be fined. In fact, the 10th Amendment explicitly forbids Congress to assume powers that the Constitution doesn't delegate to the federal government. But with Supreme Court justices all too often willing to impose their personal views in place of a clear reading of the Constitution, there is no guarantee that they will overturn ObamaCare, as they should. What is guaranteed is that the ruling -- in either direction -- will play a role in this fall's presidential election. ObamaCare is deeply disliked by the public, and the eventual GOP nominee should make it clear that if the court doesn't overturn the law, he will seek its repeal by Congress if he is elected.